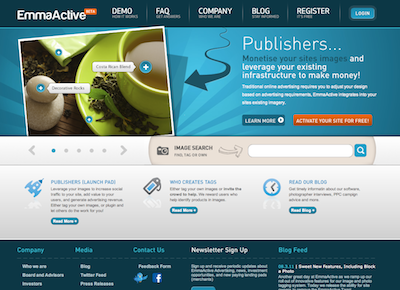 EmmaActive answers the question, “Where do I get that?” but allowing product tags to be embedded on a sites existing images. It also creates a social layer by allowing people to like products right from a photo increasing exposure for the publisher and brand. EmmaActive is the only system that rewards taggers and site owners for tag creation and tag clicks. It is also the only system with a request a tag feature, and the ability to like a product from within the image, promoting it on FaceBook.